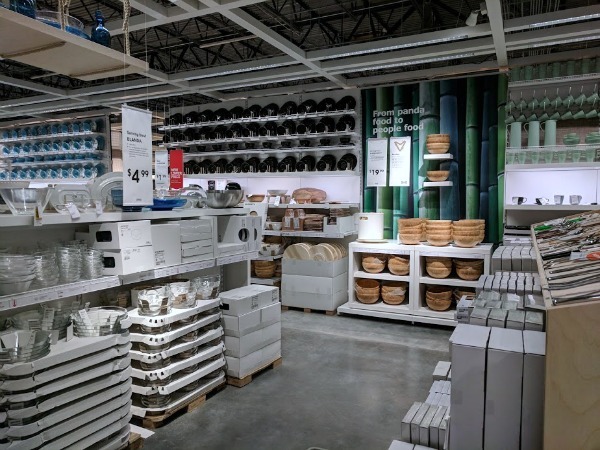 Get Ready to Redecorate With the New IKEA in Oak Creek, Wisconsin! 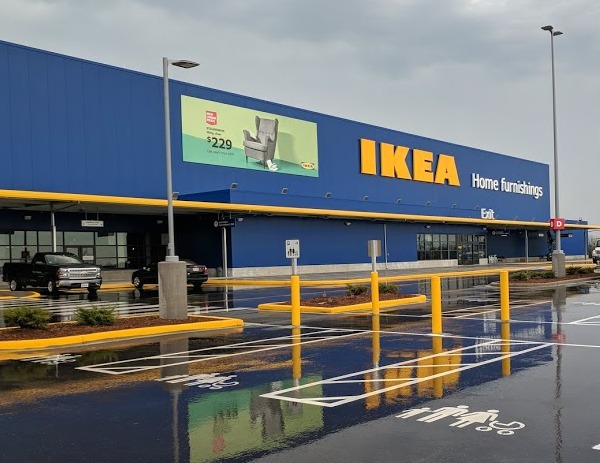 Home » Local Metro Milwaukee » Get Ready to Redecorate With the New IKEA in Oak Creek, Wisconsin! Have you ever been to IKEA? For years I've heard their stores and products are amazing. 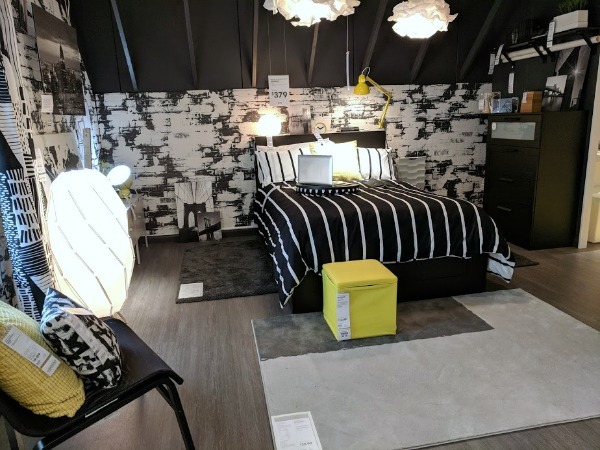 We've talked about visiting the Schaumburg IKEA, but it's not a short drive, especially when you aren't sure what you want to get. 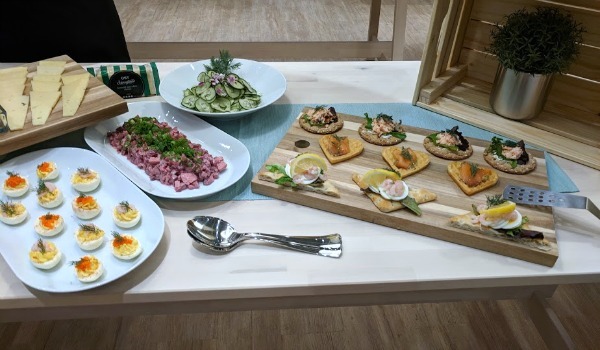 I stepped foot inside my first IKEA the other day when I was invited to attend a press preview at the new Oak Creek store. 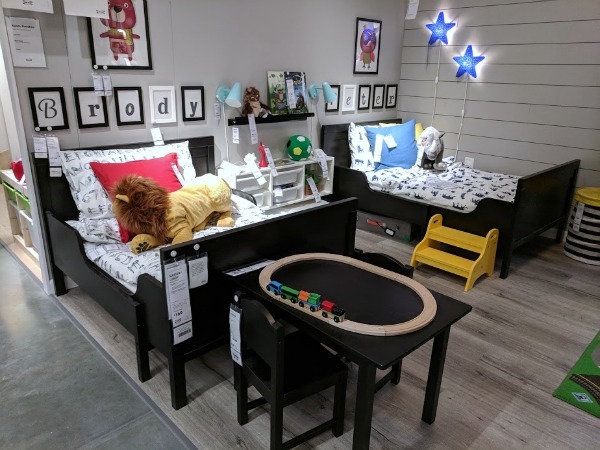 Let me just go on the record now to say I have fallen in love with my local IKEA Home Furnishings store. The press preview started with a breakfast smorgasbord in the IKEA cafe. This gave us a chance to sample a variety of foods, including their legendary meatballs. Samantha Gravina, the IKEA Oak Creek store manager, shared information with us about the store and upcoming grand opening day activities. We also heard from Zach Neff who is the Loyalty Manager. The rest of the time was spent taking a tour of the entire store. It was incredible getting to walk through when it wasn't busy to look around. 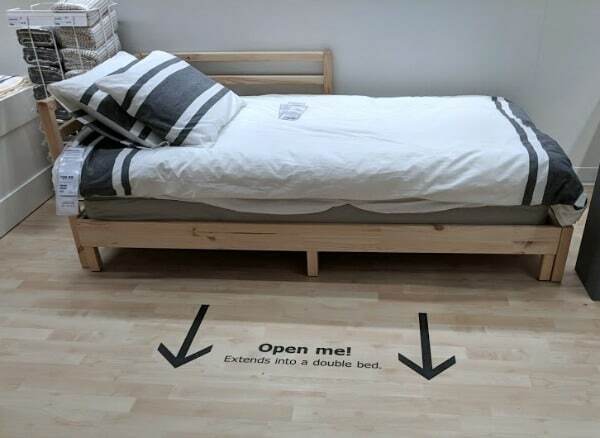 The IKEA employees were friendly and helpful. One thing I was impressed with was the market research IKEA conducted. They learned about the homes and living spaces of the Milwaukee area. They took note of the needs families have for functional living spaces. 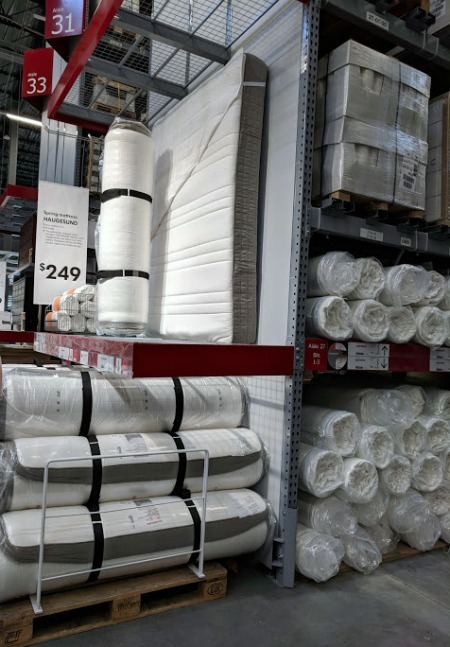 They researched the average mattress sizes, types of closets, and what rooms people are buying furniture for (such as a finished basement or a patio). They use that market research to create showrooms that reflect what a home in the Milwaukee area might look like. 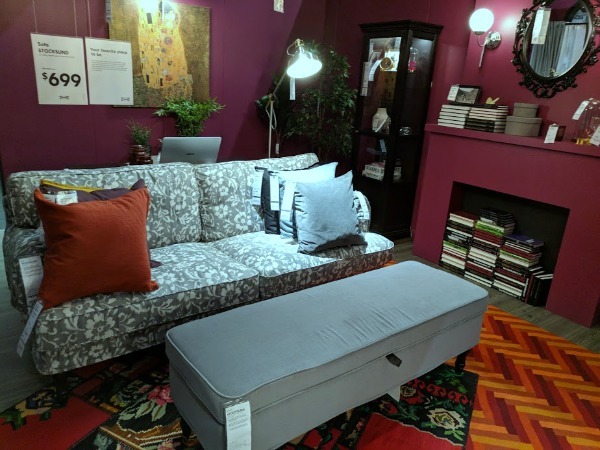 Rather than trying to promote a particular piece of furniture they want to sell, they offer product solutions that fit the needs of the people in the store's region. It makes you feel like they truly are looking for ways to help you with affordable furniture that is both functional and fashionable. And my home makeover wish list grew with each step I took. Seriously, when I got home from the press event, I asked Brian to measure the kitchen. We were surprised at how affordable everything was in the IKEA catalog. We're excited to try their planning services and spruce this place up! The two most common questions people ask upon arrival are: where is the bathroom? and where are the shopping carts? When you walk in the entrance, there is a bathroom near the front (look to the right and you will see the sign). It's a good idea to stop in there before you get drawn into the showrooms. You will find another bathroom near the cafe along with a baby care room. There are stroller carts near the front if you prefer to use one of those with your child, otherwise you can bring your own stroller in. 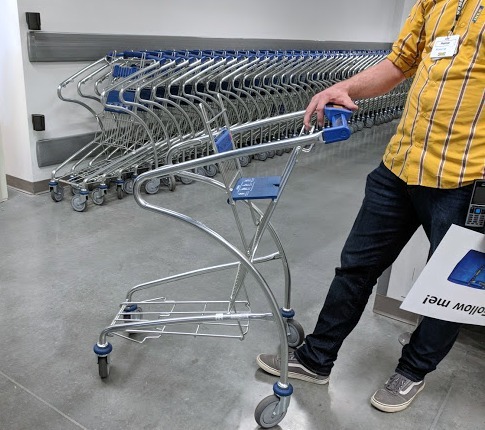 The stroller carts have a seat (like a typical grocery cart) and a place to hang the iconic IKEA bag. Full shopping carts are not in the front since you usually won't need them until you reach the Market. It is easier to walk through and experience the showrooms without a cart. You are mostly browsing and gaining inspiration at this point. Sit down on the sofas and chairs. Pull out the drawers. Test out the feel of the room. Does it feel like your dream room? After walking through the showrooms, you will reach the cafe and the market. It's the perfect time to grab a cup of coffee or tea and a bite to eat with your family. The prices are affordable and the food is delicious. After taking a break, feel free to grab a shopping cart and head into the market where you will find lots of products for your home. If you are purchasing shelving units and other large furniture pieces, you will find them in the warehouse area. Did you make note of the aisle and bin information on the tags of your favorite pieces in the showrooms? Those will direct you to the item's exact location. And if you are shopping for mattresses, don't worry, you don't need a truck to get it home! They are flat packed and rolled up to make it easier to carry and transport. If you love a good deal, make sure to stop by the As Is section. You can find items up to 50% off. After walking the entire store, you may be hungry again. Don't forget to browse the Swedish Food Market before heading to the check out lanes. Customers can begin lining up at the store at 5:00 a.m. on Wednesday, May 16th. Entertainment for customers waiting in line will start at 6:00 a.m. and the Grand Opening ceremony at 8:15 a.m. They will do the Swedish log sawing tradition before opening the store. 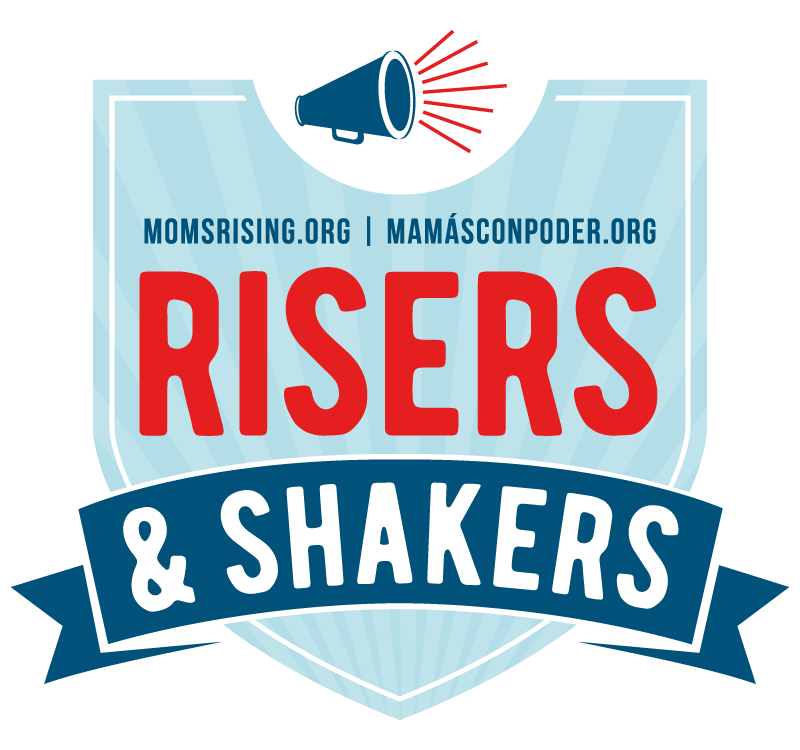 The doors will officially open at 9:00 a.m. 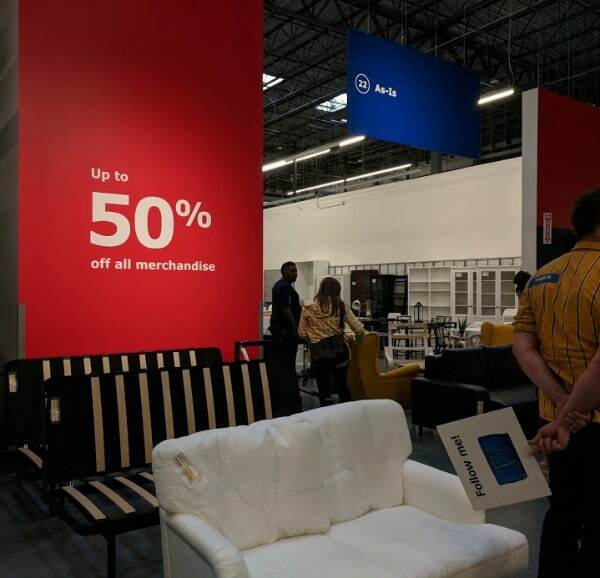 Learn more about the Grand Opening plans and promotions at IKEA-USA.com/OakCreek or by joining the free IKEA Family loyalty program. The first 200 children (12 & younger) in line receive a free FAMNIG heart-shaped soft toy, valued at $4.99. The first 1,000 adults (18 & older) in line receive a special “welcome” gift. On Grand Opening, visitors in line before 8:00am CDT will be entered for a chance to win one of three (3) gift cards, valued at $500, $1,500 and $2,000. Customers will receive a free IKEA FRAKTA blue bag, valued at $1.29 with any in-store product purchase. *Limit: one (1) per customer. Offer is available in store only and does not include the purchase of services or purchases in the restaurant, bistro or Swedish food market. 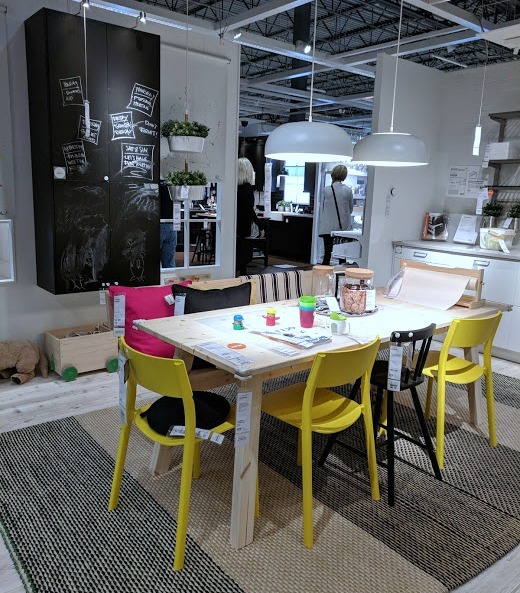 On Grand Opening, visitors who join IKEA FAMILY or scan their IKEA FAMILY card in-store at an IKEA FAMILY kiosk, info tower, tablet or during checkout, will be automatically entered for a chance to win one of twenty-two (22) $250 IKEA Gift Cards through the IKEA FAMILY loyalty program. Winner’s names will be randomly drawn every hour that the store is open. 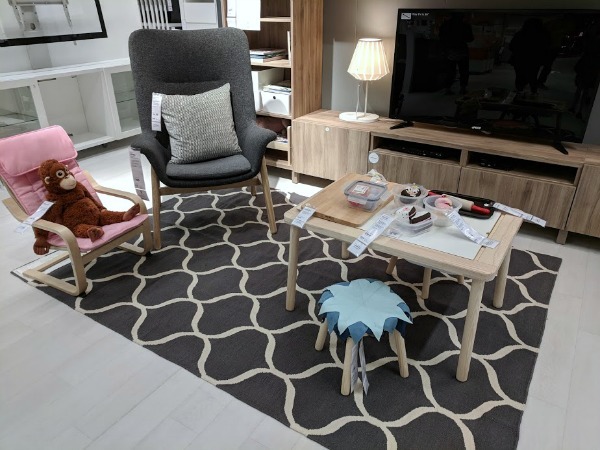 When you use your IKEA FAMILY card in-store from Wednesday, May 16-Monday, May 28 and spend a minimum of $125, you will receive $20 off next purchase of $100 or more via email.